If you are one of those students lucky enough to not only study abroad in Florence but also have your parents visit you, then naturally you will want to make it worth their money and effort. What do you do when I genitori arrive? Of course priorities will vary depending on the nature of your family. Here you are a selection of the main Florence events of April 2009! 1) “Climb” on the top of the Duomo in a sunny day. The view is unforgettable. 2) Eat a Gelato (Ice cream) in Santa Croce in a spring or a summer day. 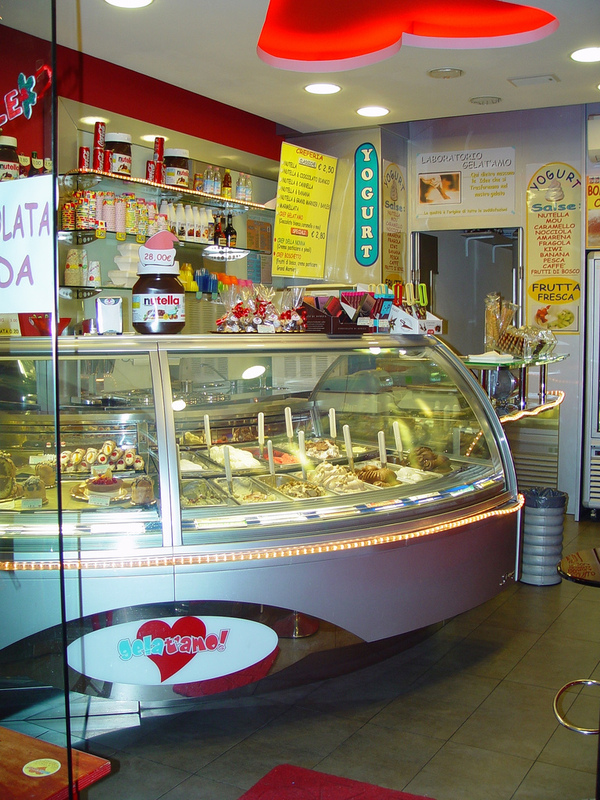 The best gelaterie of the district (and perhaps of the city) are Vivoli (Via Isola delle Stinche, 7) , Vestri (Borgo degli Albizi,11) and Gelat’amo (via doni 18r). Don’t miss this experience ! 6) The music festivals held in Spring and Summer time in Tuscany and Umbria: Pistoia Blues, Italia Wave, UmbriaJazz, Maggio Musicale (Florence), Mercantia (Certaldo), Lucca Summer Festival ….The coolest side of Florence and Tuscany that you can’t miss! Below a list of the items you will need, where to get them and where to take them in order to obtain the “mythical” Italian permesso di soggiorno. Permesso di soggiorno. What you need? 5) Proof of financial security. This can be the same as you used to get your visa, a letter from your parents or front/back photocopies of your credit card. 7) Insurance. The INA insurance is necessary for all students, regardless of the insurance coverage you have at home. To get the insurance, you must go to the main post office (near Repubblica Square in Florence) upstairs on the first floor and get a ‘bollettino’ that must be filled out. During your stay in Florence, you will certainly have to get soon, the ‘Codice Fiscale‘ (or Tax-Code Number). It is, in fact, obligatory for all citizens, whether Italian or Foreigners, to have this number, even though you may not be subject to Italian taxes. If you prepare all these sheets in advance you can obtain all the documents you need in a reasonable time (one week) and you can definitely better enjoy your experience in town! When you come in Italy you want to eat really Italian Gelato not “ice cream”. Gelato Italiano is made from all natural ingredients. Gelato is very popular in Italy with Italians and tourists. There are stores that specialize in gelato but make attention not all homemade gelato is the same, some places use commercial mixes, some places use fresh ingredients. Sometimes You can find not original Gelato in the centre of Florence, for example if you see in showcase Gelato like a mountain don’t think it’s real Gelato Italiano…they put industrial ice cream impersonating the original Gelato Italiano. It’s a little past 2 on a regular night in Florence. Along via de’ Benci and farther down past Piazza Santa Croce on via Verdi, people pour out on to the street as the bars and clubs begin to close. While some congregate outside to smoke and chat or stumble to the next place for more dancing and drinks elsewhere, others go in search of something different: a secret bakery. Just off via de’Benci, through the small Piazza Peruzzi, and down a couple of narrow, dimly lit streets, a cluster of people can usually be found outside the non-descript doors of via del Canto Rivolto 2. A sign taped to the glass doors reads, “Please be quiet”. Only the golden glow shining through the glass doors lets you know something’s going on inside. That and the intoxicatingly sweet smell that floats through the air and beckons you inside like a siren call. Welcome to Pasticceria Vinci & Bongini, one of Florence’s so-called secret bakeries. Except like the others, this is not a secret and technically not a bakery either, not in the traditional sense anyway. There are no glass cases filled with rows of pastries or little tables and chairs at which to enjoy your treats. Instead there are only large ovens and stainless steel counters, metal rolling racks filled with baking trays and bakers with hair nets and flour dusted-aprons. This kind of bakery, or pastaio, is where many of Florence’s cafés, bars, and shops get the baked goods they sell during the day. To supply these businesses with fresh treats, “secret bakeries” work late hours through the night to have them ready and delivered in the morning. However, when people pass by, they are happy to sell individual pastries. At Vinci & Bongini the crowd is usually made up of people coming from nearby bars (hence the “please be quiet” sign). For 80 cents, boisterous mouths are filled with mini pizzas, chocolate covered desserts, and warm, foglie, twinkling with a layer of sugar. Across town, near Piazza San Marco, is the Laboratorio di Pasticceria Arrighi on the corner of via delle Ruote and via San Gallo. Another no-frills kitchen, the main attraction here is also the mouth watering scents drifting from the ovens as they churn out racks of hot goodies. 1,5 euro will buy you a pizzetta while 70 cents will satisfy your sweet tooth with a cornetto or other pastry. To complete the after-hours snacking: a vending machine offering drinks including coffee, water, and soda. For something outside the city center, try Il Re della Foresta in Piazza Giorgini. Well worth the possible cab ride there, this hole-in-the-wall is just that: a walk-up window. If a bombolone, or large doughnut-like treat is what you crave, watch them be filled with your choice of chocolate or cream from huge pastry sleeves. Prices range from 70 cents to 1 euro. So while good food is not hard to find in Florence, sometimes a good, fresh-baked treat takes a little map-following and an unsuspecting bakery late at night.